Vous démarrez votre entreprise ou celle-ci prend de l’expansion ? La signature d’un bail commercial vous permettra de vous adapter en toute la liberté aux besoins changeants de votre entreprise grandissante. La location commerciale vous offre également l’opportunité de tester une localisation sans engagement à long terme, afin de déterminer s’il s’agit d’un endroit de choix pour votre clientèle et votre personnel. This multi unit building is located in Sarasota, Florida, United States, in Sarasota county. This near the coast property with bay and city views is situated in this part of United States. The land area of this multi unit building is 21,527.74 square feet (2,000.00 square meter), and it has an interior space of 31,215.22 square feet (2,900.00 square meter). This multi unit building has central air condition. 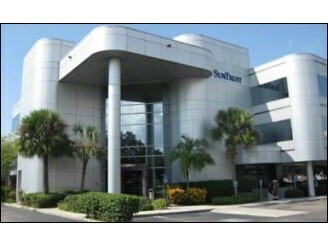 This office is located in Sarasota, Florida, United States, in Sarasota county. This property with city view is situated in this part of United States. The land area of this office is 2.15 acre (0.87 hectare), and it has an interior space of 3,326.04 square feet (309.00 square meter). This office has central air condition.